Is the Doctrine of Inspiration Biblical? You are here: Home / Is the Doctrine of Inspiration Biblical? There is no verse in Scripture which specifically states that the authors of Scripture were in some fashion under the control of God when they wrote. We already looked at 2 Timothy 3:16, and saw the the term “inspiration” there refers not to the writing of Scripture, but to the reading of Scripture. When we read the Bible, God inspires us through it to be the kind of people He desires in this world. In this post, I want to briefly look at several other passages, and give a short summary of what they seem to say about the Inspiration of Scripture. Jesus is speaking to the apostles and telling them that the Holy Spirit will teach them and help them remember what Jesus said. This is one of the reasons that the early church generally required “apostolic authorship” as a condition for books being accepted into the New Testament (I will write about “Canonization” later). To me, this verse may be the strongest verse in the Bible which supports the doctrine of the Inspiration of Scripture. However, the verse says much less than I would like. Of the New Testament authors, only Matthew, John, and Peter were present when Jesus said this, and He said nothing about the writing of Scripture. We have received, not the spirit of the world, but the Spirit who is from God, that we might know the things that have been freely given to us by God. These things we also speak, not in words which man’s wisdom teaches but which the Holy Spirit teaches, comparing spiritual things with spiritual. There is nothing in this about the writing of Scripture, but again deals with the Spirit teaching the truth of Scripture to those who read and meditate upon it. According to my judgment — and I think I also have the Spirit of God. 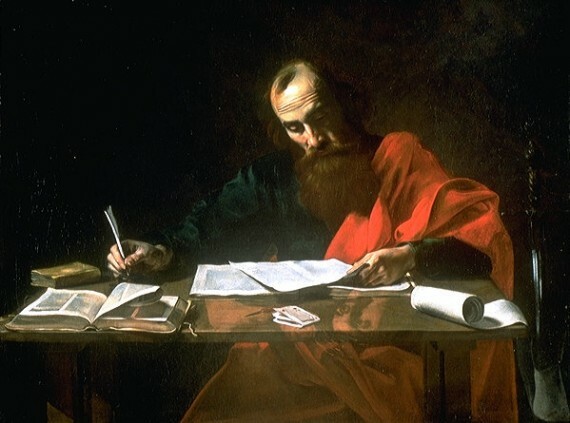 Some use these passages to show that Scripture is not inspired, as Paul seems to indicate that some of what he is writing is his own opinion only, and not from God at all. What Paul is actually saying is that there are no instructions in Scripture or from the teachings of Jesus about certain aspects of marriage. Nevertheless, based on what Paul has read in Scripture, and the teachings from Jesus he is aware of, Paul is extrapolating some principles which apply to some of the believers in Corinth. Again, this seems to fit with what I have been arguing, that the inspiration of Scripture is in the reading of it. Paul has read and studied Scripture, and based on what he has read, he believes he has some further instruction about marriage which was not found in Scripture. Along with 2 Timothy 3:16, this is one of the key texts about the inspiration of Scripture. And just like 2 Timothy 3:16, there are numerous translation and contextual issues surrounding this passage. For example, who are the prophets, and what are the prophecies Peter has in mind? Who are the “holy men of God”? Are they the same as the prophets, or different? How should we understand the term “private interpretation?” What does it mean to be “moved by the Holy Spirit”? And in context, what does all of this have to do with what Peter saw and heard on the Mount of Transfiguration (cf. 1:17-18 with Matt 17:1-5)? I cannot attempt to answer most of these questions here, but note one thing: Whatever Peter is talking about, he is not talking about the writing of Scripture. Rather, he is writing about the interpretation and explanation of Scripture. Some think this verse refers to the “exposition” of Scripture, which is preaching. No prophecy should be expounded according to private opinion. … idias [one’s own] refers to the expositor, not the propheteia (TDNT IV:337). As the prophecies do not owe their origin to the resolve of man, so their exposition is not left to human caprice. There can be true interpretation only through God Himself or through the Holy Spirit (TDNT VI:833). In modern ways of “doing church” this is a dangerous idea, for it seems to put the pastor back up on a pedestal where he is the only person in the church who can properly understand and explain Scripture. But this idea is exactly what Peter is arguing against. It seems that what Peter is saying is that while God does speak to us through Scripture, He speaks to us in the context of community. We are to study, learn, and think about Scripture with others. Yes, we can study Scripture on our own, but whatever we think we learn must be measured against what others have learned and taught as well, and must be lived out and practiced in a community. The Holy Spirit works in the community of believers, and therefore sheds light on Scripture primarily within the community, not to individuals. That might be controversial, especially in light of our love in “Protestant” circles for individual men like Martin Luther who held to his private interpretation of Scripture (but was it that?) against the entire traditional interpretation of the Roman Catholic Church. But I’ll leave that question for later. Is the Doctrine of Inspiration Necessary? 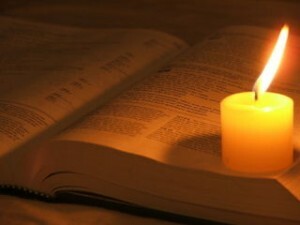 For now, my only point is that there does not seem to be any passage in the Bible which defends the doctrine of Inspiration as it was taught to me: that the Holy Spirit guided human authors to compose and record through their personalities God’s selected message without error in the words of the original documents. Such an idea is logical and necessary to support and defend some of the other things we believe about the Bible (such as inerrancy), but as logical and necessary as it is, the idea does not seem to be supported by Scripture itself. I think I am with you on this one. This doctrine is not a necessary or an essential doctrine for the Christian faith. I would put it in the second tier category (the agree to disagree level). I would firstly disagree that inspiration of the Bible does not seem biblical. It seems you don’t like how many translation of translated 2 Timothy 3:16, for example, but as you yourself admit, your are no greek expert. The translators for many of these Bible’s are as good as it gets with greek, so they have good reason translating how they do. “God-breathed” is the best translation, which you left out of yours. The passage from second Peter cannot be so easily concluded as to “not be talking about the writing of scripture.” Most biblical commentaries easily point out how Peter seems to be talking about the origin of the prophecies in the OT scripture, therefore Peter is talking about what was said (and then written down). So what we have in the OT is inspired by God. There is one very important angle in which you have not looked at the inspiration of scripture, and that is what the early church fathers believed about the Bible (I’m really into church history!). The early church fathers very harmoniously believed and taught that the entire bible was inspired by God (Gregg Allison’s “Historical Theology” chapter 2 on the inspiration of scripture is one of many great resources on this topic). Another thing you may want to address is how we should view the Bible if it is really not inspired by God. Why should we care what it has to say, or more importantly, why should we trust it? You do ask a lot of questions throughout this series of posts (which is good), but just because you (or any of us) don’t know the exact answer to them, that doesn’t mean that the Bible can’t be inspired. For me, another reason I think inspiration does seem to be biblical is because I have studied numerous pastors and theologians who do conclude that it is illogical to believe in the Bible and not find it inspired by God. And use some of the very same scripture you have to show (and others) to show why the Bible is inspired. I don’t mean to be too critical (I know it is easier to critique than to prove my own point), but I’m just not sure why we should believe that what the Bible says is true if it is not inspired. No, this isn’t an essential doctrine in the sense of whether or not it makes one “saved,” but it is vitally important to what we can believe about God. Again, coming from a religious studies department at a secular university; if the Bible is not inspired by God, I can’t trust it more than any other religious text (even if it has truth in it). I still believe in the authority and inerrancy of Scripture, and I’m not going to argue too much with the translation of theopneustos as God-breathed. It is the most accurate I suppose, but an accurate translation still doesn’t help us understand what it means. I also agree that the early church fathers taught the “inspiration of Scripture” as commonly held today, and I have numerous quotes in my seminary class notes to prove it. However, I noticed that nearly every time the “inspiration of Scripture” is brought up in their writings, it is so they can call someone a heretic who disagrees with them. And yes, even the so-called “heretics” argued for the “inspiration of Scripture” against those who disagreed with them. Ultimately, what they were trying to do was argue for their own interpretation and understanding of Scripture against the interpretation and understanding of others. In the end, believing in the “inspiration of Scripture” doesn’t help much at all, because it is the interpretation and understanding of Scripture that matters most. Thankfully, nearly all the verses I discuss above tell us that God will help us understand Scripture as we study and live it out with one another. I’ll do more post on all this in the next few days, as I try to tie up some of these loose ends. I’ve never heard of someone believing that the Bible was inerrant, but not inspired. Interesting (not in a disrespectful way!). I’ve went back and read a few of my theology books on inspiration today and they all point to the Bible being inspired (but not so they can prove an interpretation they have). For me personally, I’m not arguing that the Bible is inspired so that I can back up some interpretation I have of it, I have read some of these early church fathers myself and I never picked up on them saying it was inspired to back up an interpretation they had either (although I’m sure some did). I think many of them simply believed it was inspired. I know from previous posts that you hesitate over calling the Bible inspired because you don’t want people to take that to mean only the “priestly class” can interpret it. 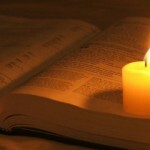 I completely understand, the Bible should be and is understandable to anybody. The NT was written in the “plain language” of the day, so it was meant for common people to understand it. I think it is perfectly acceptable to believe the Bible to be inspired and easily understandable. Yes, some may take inspiration to mean only the elite should be able to interpret it, but just because somebody uses inspiration to back up their unfortunate views, that does not make inspiration itself incorrect. I would really be interested to get your take on why we should listen to what the Bible has to say if it is purely a man-made document. Which would mean that these men who wrote the Bible all wrote it with no errors and in harmony with one another without “God’s breathing.” So I would be interested in a post on that. By the way, where did you go to seminary? I’ve got one year of undergrad left and then I’ll be going as well. I’m most seriously considering Dallas Theological Seminary and Southwestern Baptist Theological Seminary. Thanks! I don’t believe the Bible is just a man-made document. I suppose I still believe in the traditional idea of “inspiration” I just cannot find a bible verse that clearly supports it. That is all I meant by my last statement in this post. If the Bible doesn’t teach it, is it a necessary doctrine? Anyway, I went to DTS. It’s a good school. They are certainly more “orthodox” than what I am presenting in this post. What I am actually doing is blogging through my seminary notes, and then questioning and challenging what I was taught in a way that I was not able to do during seminary (see the introductory post here). Both DTS and SBTS are great schools. You will learn a lot at either one. The great part about being separate from the IC is we can now think outside the box so to speak. (Well, at least we’re supposed to!) I really don’t think I would’ve have even contemplated these things, or even read these articles. I may have dismissed you as a misinformed heretic being swayed by the devil or something. When I left my denom, I was told I was being led by the devil. It is liberating to know that my job is not on the line simply for asking questions and investigating different ways of looking at things. Even your own TDNT quotes don’t correspond to this last claim. “As the prophecies to [siq] not owe their origin to the resolve of man, so their exposition is not left to human caprice. There can be true interpretation only through God Himself or through the Holy Spirit” (TDNT VI:833). As TDNT suggests, both the ‘origin’ and the ‘exposition’ is in view in 1 Pet. 1:20-21. That such inspired (“God spoke… moved by the Holy Spirit”) origins of prophecy could not extend to the written Word seems, to me, to be a bit picky :). It’s not unreasonable to suppose that the recipients of inspired prophecy were capable of also documenting that same prophecy in written form. I’m not suggesting a dictation theory, I’m simply suggesting that man is capable of transmitting conversations/ideas in other forms, while preserving original content/intent. Thanks for pointing out my typo. I have now fixed it. Where we seem to be crossing lines is that the word “theopneustos” only refers to the spoken original, never to the written version of it, even if it is a word-for-word replica. I am not making this up. That is the way the word was used. For us to extend it to the written Word without warrant is to use the word in a way it was never used. This is bad scholarship. Maybe I’m just splitting hairs with this whole discussion, but as you’ll see in the next several posts, the practical ramifications of what I’m arguing for have far-reaching effects in how we view and use Scripture. I actually think that my view makes the Bible MORE authoritative and effective rather than less. I think it is important to realize in the early church, the vast majority of people could not read. The scriptures were read to them by people who could read. The oral tradition was very important.